Dave Brailsford now insists that all staff sign a written statement confirming they have never had any involvement in doping. One wonders why he didn’t implement that gimmick from the outset. It might have avoided the damaging publicity that goes with the almost daily revelations that a significant number of his most senior figures had dirty hands all along. Of course, two years ago it’s far more probable that they would have just lied outright rather than simply maintained the code of silence which brought the sport to its knees. With USADA’s incriminating documents now a matter of public record, the past has become virtually impossible to escape. But who did the due diligence here? For a man almost obsessive in his attention to detail it seems unlikely in the extreme that Brailsford would have been unaware of speculation. And if he is genuinely surprised at the extent of the scandal’s reach, why did he make such a virtue of his team’s cleanliness? If not exactly a fire, there was a roomful of smoke. Steven de Jongh, the latest departure, had been a rider with the discredited Dutch outfit TVM which was eventually disbanded due to doping infringements. He also spent time at Rabobank where compatriot Geert Leinders, whose own controversial past has recently been exposed, was employed as team doctor. Despite initial promises to recruit medical people from outside of bike racing, Leinders too had been working for Sky on an ‘informal’ basis, an arrangement which appeared less than transparent. Bobby Julich and Michael Barry had obvious connections to the institutionalised violations at US Postal and would have been fully aware of the scale of the illegality before the storm broke. Which brings us to the curious retirement of Sean Yates, an exit without any admission of wrongdoing, despite a long association with Armstrong. Photographs of Yates, one of only five British riders to have worn the yellow jersey at the Tour de France, with his arm around Philou Maire, the alleged drugs courier in Tyler Hamilton’s exposé, have been circulating on the internet. It is inconceivable that he was not in some way implicated yet this fudge only adds to the hint of suspicion that there is much insincerity in Sky’s position. Is he being spared humiliation because of his nationality, because of the damage an acknowledgement might do to the purity of British cycling at this pivotal moment? Yates was in his prime when EPO and other abuses were virtually universal so we would hardly be shocked and outraged. If, unlike the others whose enforced honesty saw them ushered towards the door, he plans to leave the sport for good, why would it be such a reputational disaster to admit that he could not, with good grace, put pen to paper? Instead, we have a golden handshake. David Millar could never have ridden for Sky. As a convicted transgressor, his own entanglement with the cheating is well-documented. The Scot has no pulpit from which to preach, but his words have been a welcome dose of sanity in the whole sorry affair. He has shown genuine contrition, has refused to hide behind a veil of ambiguity, and demonstrated the zeal to point a way forward, not pretending the past was an unfortunate aberration, but using it as a basis for understanding. He is right to call on the UCI President Pat McQuaid to resign, just as he is to vilify the contribution of Hein Verbruggen. I would go further. The governing body is not fit for purpose and a new organisation with a different charter should be formed in its place. Millar recognises that progress has been made but that complacency is a dangerous enemy. Those who were the problem must be part of the solution. Their voices need to be heard. At Millar’s Garmin-Sharp team, boss Jonathan Vaughters, a former acolyte of Armstrong’s, has taken a different approach. While endorsing the anti-doping code and making it a central tenet of their constitution, a more relaxed attitude about past sins creates a culture in which the sad realities of the situation are embraced. Having stared into the abyss, succumbed to the overwhelming temptation, ex-offenders bring with them an experience and knowledge base which can be as much a force for renewal as a source of shame. Of course, enthusiasts and critics alike will be wary, but not half as much as adopting an impossible standpoint will erode trust and credibility. Clearly, the ringleaders need to be properly disgraced and convicted. Acceptance, though, is a necessary part of the healing process. A certain equanimity must prevail. Yates was an effective Directeur Sportif, Julich a well-regarded coach. De Jongh will be missed for his input and guidance in the Classic races. The purge is unlikely to have ended. Fingers point at rider Michael Rogers for one. I believe that none of these people did anything wrong whilst at Sky, and were only there anyway because the audit on them was insufficiently scrupulous. Brailsford has the best of intentions but in denying the hope of redemption is perversely compounding the issue. Regrettably, many will never be convinced that change is possible no matter what. A significant danger is that demonising the indiscretions of those who were carried along on a toxic tide only forces the problem back underground. Sky’s attitude doffs its cap to a misplaced idealism. The real world will never be quite so black and white. 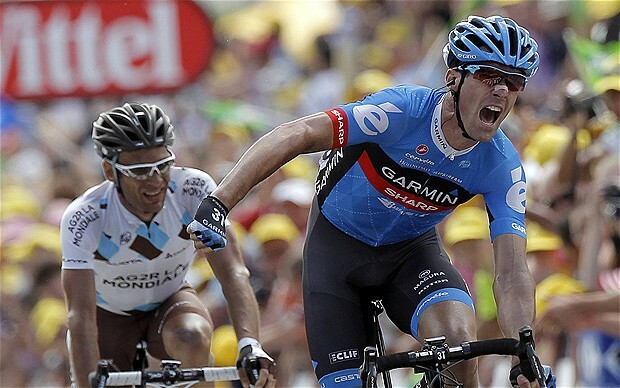 This entry was posted in Cycling and tagged Dave Brailsford, David Millar, Garmin-Sharp, Jonathan Vaughters, Team Sky.